Fortnite is phenomenon, no doubt about it, but despite the hype, there’s another kid-friendly game it still looks up to. 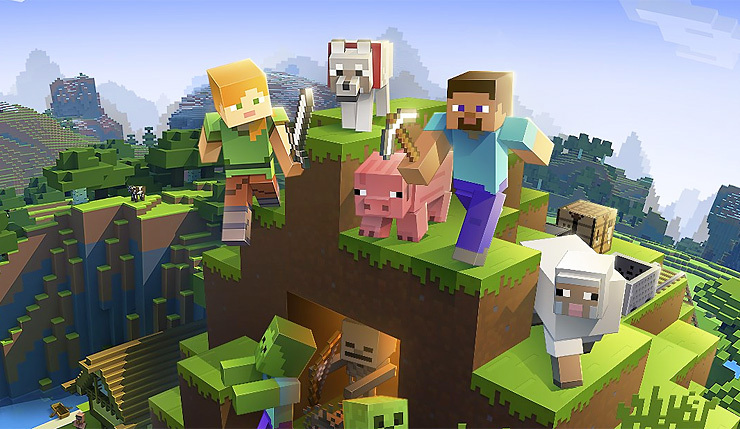 Minecraft doesn’t grab as many headlines these days, but the game remains a juggernaut – according to Microsoft, the game boasts an incredible 91 million monthly players, around 13 million more than Fortnite’s 78.3 million monthly players. And let’s not forget, unlike Fortnite, Minecraft is a paid game – over 150 million copies have been sold at 20 to 30 bucks a pop. The main thing being crafted by Minecraft is money. Lots and lots of money. Despite this success, Microsoft’s Minecraft boss Helen Chiang says a sequel is unlikely. The success of Minecraft has been a fascinating thing to follow. Will the game’s popularity eventually decline? Or will it remain a perennial favorite, similar to real-life building toys like Lego? Minecraft is available now on PC, Mac, Linux, Xbox One, PS4, Nintendo Switch, 3DS, PS Vita, mobile platforms, and basically anything else capable of playing games. Minecraft: Dungeons will hit PC sometime next year.